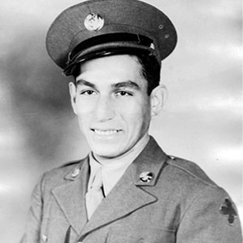 Medal of Honor nominee Manuel Mendoza, was born in Miami, Ariz., June 15, 1922. 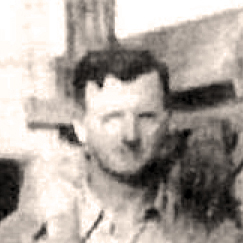 Mendoza entered the U.S. Army at Fort MacArthur, Calif., November 1942. He served in both WWII and Korea. Then-Staff Sgt. Manuel Mendoza is being recognized for his actions on Oct. 4, 1944, in Mt. Battaglia, Italy, where he is credited with single-handedly breaking up a German counterattack. Mendoza was nicknamed the “Arizona Kid” for his actions in combat. 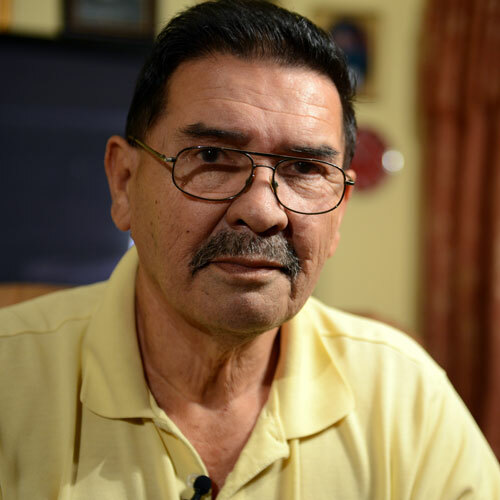 Following his Army career, Mendoza found employment as a foreman at one of the largest nuclear plants in the country. He passed away at age 79. In addition to the Medal of Honor, Mendoza received the Distinguished Service Cross (this award will be upgraded to the Medal of Honor on Mar. 18), Bronze Star Medal, Purple Heart with one Bronze Oak Leaf Cluster, Army Good Conduct Medal, American Campaign Medal, European-African-Middle Eastern Campaign Medal with two Bronze Service Stars, World War II Victory Medal, National Defense Service Medal, Korean Service Medal with five Bronze Service Stars, Presidential Unit Citation with one Bronze Oak Leaf Cluster, Combat Infantryman Badge (Second Award), Honorable Service Lapel Button-World War II, United Nations Service Medal, Republic of Korea Korean War Service Medal, Republic of Korea Presidential Unit Citation, Italian Cross for Merit of War Unit Citation. Staff Sgt. Manuel V. Mendoza distinguished himself by acts of gallantry and intrepidity above and beyond the call of duty while serving as a Platoon Sergeant with Company B, 250th Infantry, 88th Infantry Division, during combat operations against an armed enemy, on Mt. Battaglia, Italy, Oct. 4, 1944. That afternoon, the enemy launched a violent counterattack preceded by a heavy mortar barrage. Mendoza, already wounded in the arm and leg, grabbed a Thompson sub-machine-gun and ran to the crest of the hill, where he saw approximately 200 enemy troops charging up the slopes employing flame-throwers, machine pistols, rifles, and hand grenades. Mendoza immediately began to engage the enemy, firing five clips and killing ten enemy soldiers. After exhausting his ammunition, he picked up a carbine and emptied its magazine at the enemy. By that time, an enemy soldier with a flame thrower had almost reached the crest, but was quickly eliminated as Mendoza drew his pistol and fired. Seeing that the enemy force continued to advance, Mendoza jumped into a machine-gun emplacement that had just been abandoned and opened fire. Unable to engage the entire enemy force from his location, he picked up the machine-gun and moved forward, firing from his hip and spraying a withering hail of bullets into the oncoming enemy, causing them to break into confusion. He then set the machine-gun on the ground and continued to fire until the gun jammed. Without hesitating, Mendoza began throwing hand grenades at the enemy, causing them to flee. After the enemy had withdrawn, he advanced down the forward slope of the hill, retrieved numerous enemy weapons scattered about the area, captured a wounded enemy soldier, and returned to the consolidated friendly positions with all available men. Mendoza’s gallant stand resulted in thirty German soldiers killed, and the successful defense of the hill. 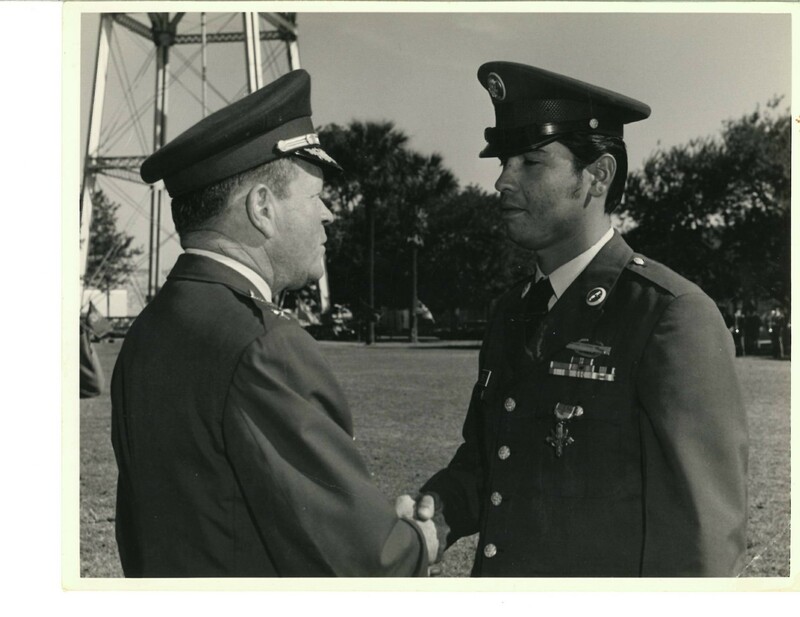 Mendoza’s extraordinary heroism and selflessness, above and beyond the call of duty, are in keeping with the highest traditions of military service, and reflect great credit upon himself, his unit, and the United States Army. Mendoza is set to receive the Medal of Honor posthumously in a ceremony at the White House on March 18. Medal of Honor nominee William F. Leonard hailed from Lockport, N.J., and was born Aug. 9, 1913. Then-Pfc. William F. Leonard is being recognized for his valorous actions while serving as a squad leader with Company C, 30th Infantry, on Nov. 7, 1944, near St. Die, France. Leonard’s platoon was reduced to eight men by blistering artillery, mortar, machine-gun, and rifle power. Leonard led the survivors in an assault over a tree-and-shrub-covered hill, continuously swept by automatic fire. Killing two snipers at ranges of 50 and 75 yards, he disregarded bullets that pierced his back to engage and destroy a machine-gun with rifle grenades, killing its two-man crew. Stunned by an exploding bazooka shell, he continued his relentless advance to knock out a second a machine-gun and capture the roadblock objective. Leonard returned from his service and worked in the automotive industry, as a butcher, and finally retired from a radiator company. He passed away five days before his 72nd birthday as he sat in the backyard listening to a New York Yankees game on the radio. In addition to the Medal of Honor, Leonard received the Distinguished Service Cross (this award will be upgraded to the Medal of Honor on Mar. 18), the Bronze Star Medal, the European-African-Middle Eastern Campaign Medal with one Bronze Service Star, the World War II Victory Medal, the Combat Infantryman Badge and the Honorable Service Lapel Button-World War II. Pfc. William F. Leonard, Infantry Squad Leader, Company C, 30th Infantry, for extraordinary heroism in action. On Nov. 7, 1944, at 8 a.m., near St. Die, France, Leonard’s platoon was reduced to eight men by blistering artillery, mortar, machine-gun, and rifle power; Leonard led the survivors in an assault over a tree- and shrub-covered hill continuously swept by automatic fire. Killing two snipers at ranges of 50 and 75 yards, he disregarded bullets that pierced his back to engage and destroy a machine-gun with rifle grenades, killing its two-man crew. Stunned by an exploding bazooka shell, he continued his relentless advance to knock out a second a machine-gun and capture the roadblock objective. Leonard is set to receive the Medal of Honor posthumously in a ceremony at the White House on March 18. Medal of Honor nominee Staff Sgt. Salvador Lara was from Riverside, Calif. He joined the U.S. Army and served during World War II. Then-Pfc. Salvador Lara is being recognized for his valorous actions in Aprilia, Italy, May 27-28, 1944. During the fight, May 27, he aggressively led his rifle squad in neutralizing multiple enemy strong points and inflicting large numbers of casualties on the enemy. The next morning, as his company resumed the attack, Lara sustained a severe leg wound, but did not stop to receive first aid. Lara continued his exemplary performance until he captured his objective. In addition to the Medal of Honor, Lara received the Distinguished Service Cross (this award will be upgraded to the Medal of Honor on Mar. 18), Bronze Star Medal, Purple Heart, Army Good Conduct Medal, European-African-Middle Eastern Campaign Medal with two Bronze Service Stars, World War II Victory Medal, Presidential Unit Citation, and Combat Infantryman Badge and the Honorable Service Lapel Button-World War II. Staff Sergeant Salvador J. Lara, Infantry, Company L, 180th Infantry, for extraordinary heroism in action on May 27-28, 1944, near Aprila, Italy. During an attack on strongly fortified enemy positions, Staff Sgt. Lara (then a Private First Class) led his rifle squad aggressively in neutralizing one enemy strong-point after another and in killing large numbers of the enemy. Having taken his initial objective, Lara observed that the unit on his right was meeting stiff resistance from a large enemy force, well entrenched in a deep ditch. Taking three men with him, he attacked a wide section of the enemy position, killing four of the enemy, forcing 15 others to surrender, and causing two enemy mortar crews to abandon their weapons. His fearless and efficient performance enabled his own unit, as well as the unit on his right to continue their objective. When his company resumed the attack the following morning, Lara sustained a severe leg wound, but did not stop to receive first-aid, saying that his men needed him in the attack. His company suffered heavy casualties as a result of withering machine-gun fire coming from an enemy strong-point on the right flank. Requesting permission to take a Browning automatic rifle and attempt to destroy the enemy machine-guns, Lara crawled alone toward the nearest machine-gun, manned by three determined Germans. Despite his painful wounds and the extreme danger of the task, Lara rose and unhesitatingly charged the nest, killing the three crew members. Another machine-gun opened fire on him, but he quickly neutralized this weapon with accurate fire from his BAR and killed three more enemies. His aggressive attack forced two other machine-gun crews to flee their weapons. After rejoining his company, Lara continued his exemplary performance until he captured his objective. Lara is set to receive the Medal of Honor posthumously in a ceremony at the White House on March 18. 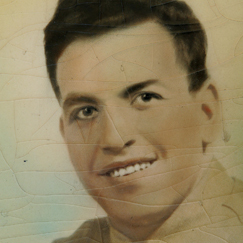 Medal of Honor nominee Leonard M. Kravitz was born in Brooklyn, N.Y., in 1931. Kravitz is being recognized for his actions in Yangpyong, Korea, March 6-7, 1951. While occupying defensive positions, Kravitz’s unit was overrun by enemy combatants and forced to withdraw. Kravitz voluntarily remained at a machine-gun position to provide suppressive fire for the retreating troops. This forced the enemy to concentrate their attack on his own position. Kravitz ultimately did not survive the attack, but his actions saved his entire platoon. In addition to the Medal of Honor, Kravitz received the Distinguished Service Cross (this award will be upgraded to the Medal of Honor on Mar. 18), Purple Heart, National Defense Service Medal, Korean Service Medal with one Bronze Service Star, United Nations Service Medal, Combat Infantryman Badge, Republic of Korea Korean War Service Medal, and Republic of Korea Presidential Unit Citation. The President of the United States of America, under the provisions of the Act of Congress approved, July 9, 1918, takes pride in presenting the Distinguished Service Cross (Posthumously) to Pfc. 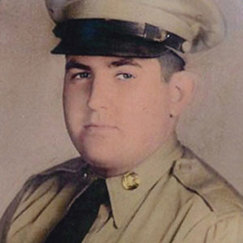 Leonard M. Kravitz, United States Army, for extraordinary heroism in connection with military operations against an armed enemy of the United Nations, while serving with Company M, 3d Battalion, 5th Regimental Combat Team, attached to the 24th Infantry Division. Kravitz distinguished himself by extraordinary heroism in action against enemy aggressor forces in the Republic of Korea near Yangpyong, Korea, March 6-7, 1951. On that date, Kravitz, an assistant machine-gunner attached to Company L, was in a defensive position on strategic key terrain. After the friendly elements had repulsed two earlier probing attacks, the enemy launched a fanatical banzai charge with heavy supporting fire and, despite staggering losses, pressed the assault with ruthless determination. When the machine-gunner was wounded in the initial phase of action, Kravitz immediately seized the weapon and poured devastating fire into the ranks of the onrushing assailants. The enemy effected and exploited a breach on the left flank, rendering the friendly positions untenable. Upon order to withdraw, Kravitz voluntarily remained to provide protective fire for the retiring elements. Traversing the gun to the left to cover the infiltrating enemy and ignoring the pleadings of his comrades to fall back, he fearlessly maintained his position. Detecting a column of Communist troops moving toward friendly positions, he swept the hostile soldiers with deadly, accurate fire, killing the entire group. His destructive retaliation caused the enemy to concentrate vicious fire on his position and enabled the friendly elements to effect a withdrawal. After the strong point was re-secured, Kravitz’ body was found lying beside the gun he had so heroically manned, and numerous enemy dead lay in and around his emplacement. Kravitz’ incredible display of valor set an inspiring example for his comrades. His unflinching courage and consummate devotion to duty reflect the highest credit on himself and uphold the finest traditions of the military service. Kravitz is set to receive the Medal of Honor posthumously in a ceremony at the White House on March 18. Medal of Honor nominee Eduardo Gomez, was born in Los Angeles, Calif., Oct. 28, 1919. 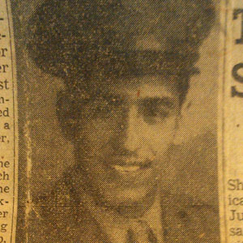 Gomez enlisted in the U.S. Army, Feb. 9, 1949. Then-Sgt. Eduardo Gomez distinguished himself by defending his company as it was ruthlessly attacked by a hostile force. Notably, Gomez maneuvered across open ground to successfully assault a manned tank. Wounded during his retreat from the tank, Gomez refused medical attention, instead manning his post and firing upon the enemy until his company formed a defensive perimeter. In addition to the Medal of Honor, Gomez received the Distinguished Service Cross (this award will be upgraded to the Medal of Honor on Mar. 18), Bronze Star Medal with one Bronze Oak Leaf Cluster and “V” Device, Purple Heart with one Bronze Oak Leaf Cluster, European-African-Middle Eastern Campaign Medal with one Bronze Service Star, World War II Victory Medal, Army of Occupation Medal with Germany Clasp, National Defense Service Medal, Combat Infantryman Badge, Honorable Service Lapel Button-WWII, Republic of Korea Presidential Unit Citation and Gold Bravery Medal of Greece Unit Citation. The Distinguished Service Cross is awarded to Sgt. 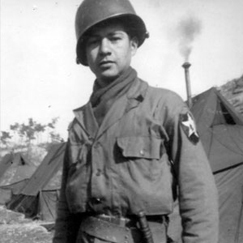 Eduardo C. Gomez, United States Army, for extraordinary heroism in action, while serving with Company I, 8th Cavalry Regiment, First Cavalry Division, Sept. 3, 1950, at Tabu-dong, Korea. While readying defensive positions, his company was ruthlessly attacked at approximately 1 a.m., by a hostile force comprised of an infantry regiment and spearheaded by two T-34 tanks, the foremost of which moved to within 75 yards of the command post before it was immobilized by rocket fire, but its main battery and machine-guns continued to rake the company perimeter with devastating fire. Realizing the tank posed a serious threat to the entire perimeter, Gomez voluntarily, and fully aware of the odds against him, crawled thirty yards across an open rice field vulnerable to enemy observation and fire, boarded the tank, and, prying open one of the hatches on the turret, dropped an activated grenade into the hull, killing the crew. Wounded in the left side while returning to his position, he refused to be evacuated. Observing that the tripod of a .30 caliber machine-gun was rendered inoperable by enemy fire, he cradled the weapon in his arms, returned to the forward defensive positions, and swept the assaulting force with withering fire. Although his weapon overheated and burned his hands and his painful wound still bled, he maintained his stand and, upon orders to withdraw in the face of overwhelming enemy superiority, remained to provide protective fire. Then, retiring slowly, he continued to pour accurate fire into the ranks of the enemy, which exacted a heavy toll in casualties and retarded the enemy’s advance. Gomez would not consent to leave his post for medical attention until the company established a new defensive position. Gomez is set to receive the Medal of Honor posthumously in a ceremony at the White House on March 18. Medal of Honor nominee Joe Gandara was born in Santa Monica, Calif., April 25, 1924. He enlisted in the U.S. Army in between 1942-1943. Gandara is being recognized for his heroic actions on June 9, 1944, in Amfreville, France. His detachment came under devastating enemy fire from a strong German force, pinning the men to the ground for a period of four hours. Gandara advanced voluntarily and alone toward the enemy position and destroyed three hostile machine-guns before he was fatally wounded. In addition to the Medal of Honor, Gandara received the Distinguished Service Cross (this award will be upgraded to the Medal of Honor on Mar. 18), Bronze Star Medal, Purple Heart, Army Good Conduct Medal, European-African-Middle Eastern Campaign Medal with one Bronze Service Star and Bronze Arrowhead Device, Presidential Unit Citation, French Fourragere, Combat Infantryman Badge and Parachutist Badge-Basic with one Bronze Service Star. The President of the United States of America, authorized by Act of Congress, July 9, 1918, takes pride in presenting the Distinguished Service Cross (Posthumously) to Pvt. Joe Gandara, United States Army, for extraordinary heroism in connection with military operations against an armed enemy, while serving with Company D, 2nd Battalion, 507th Parachute Infantry Regiment, 82nd Airborne Division, in action against enemy forces, June 9, 1944, in France. When his detachment came under devastating enemy fire from a strong German force, pinning the men to the ground for a period of four hours, Gandara advanced voluntarily and alone toward the enemy position. Firing his machine-gun from a carrying position as he moved forward, he destroyed three hostile machine-guns before he was fatally wounded. By his selfless devotion to duty and outstanding valor, Gandara prevented heavy casualties to members of the detachment. His intrepid actions, personal bravery and zealous devotion to duty at the cost of his life, exemplify the highest traditions of the military forces of the United States, and reflect great credit upon himself, the 82nd Airborne Division, and the United States Army. Gandara is set to receive the Medal of Honor posthumously in a ceremony at the White House on March 18. Medal of Honor nominee Victor H. Espinoza, was born in El Paso, Texas, July 15, 1929. Then-Cpl. Victor H. Espinoza is being recognized for his actions on Aug. 1, 1952, at Chorwon, Korea. While spearheading an attack to secure “Old Baldy,” Espinoza’s unit was pinned down by withering fire from fortified positions. In daring succession, Espinoza single-handedly silenced a machine-gun and its crew, discovered and destroyed a covert enemy tunnel, and wiped out two bunkers. His actions inspired his unit and enabled them to secure the strong-point against great odds. 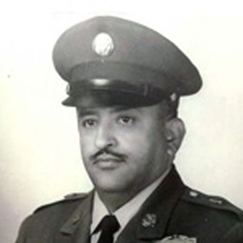 After leaving the Army, Espinoza resided in El Paso until his death on April 17, 1986. Espinoza is buried at Fort Bliss National Cemetery. In addition to the Medal of Honor, Espinoza received the Distinguished Service Cross (this award will be upgraded to the Medal of Honor on Mar. 18), National Defense Service Medal, Korean Service Medal with one Bronze Service Star, Combat Infantryman Badge, United Nations Service Medal, and Republic of Korea-Korean War Service Medal. The President of the United States takes pleasure in presenting the Distinguished Service Cross to Cpl. 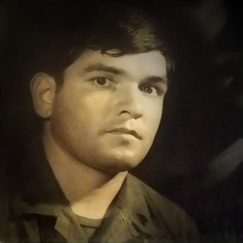 Victor H. Espinoza, U.S. Army, for extraordinary heroism in connection with military operations against an armed enemy of the United Nations, while serving with Company A, 1st Battalion, 23rd Infantry Regiment, 2nd Infantry Division. Espinoza distinguished himself by extraordinary heroism in action against enemy aggressor forces at Chowan, Korea, Aug. 1, 1952. While spearheading an attack to secure “Old Baldy,” Espinoza’s unit was pinned down by withering artillery, mortar, and small-arms fire from strongly fortified positions. Fully aware of the odds against him, Espinoza stormed forward in a daring assault and, firing his rifle and throwing grenades, silenced a machine-gun and its crew. Continuing up the fire-swept slope, he neutralized a mortar, wiped out two bunkers, and killed its defenders. After expending his ammunition, he employed enemy grenades, hurling them into the hostile trenches and inflicting additional casualties. Observing a tunnel on the crest of the hill, which could not be destroyed by grenades, he obtained explosives, entered the tunnel, set the charge, and destroyed the tunnel and the troops it sheltered. His fearless display of valor inspired all who observed him and enabled the unit to continue the assault and to secure the strong-point. Espinoza is set to receive the Medal of Honor posthumously in a ceremony at the White House on March 18. Medal of Honor nominee Sgt. Santiago Erevia was born in Nordheim, Texas, in 1946. He volunteered to join the U.S. Army in San Antonio when he was 22-years-old. Then-Spc. 4 Erevia distinguished himself May 21, 1969, while serving as a radio-telephone operator during a search-and-clear mission near Tam Ky City, in the Republic of Vietnam. In 1970, Erevia left active service with a two year reserve obligation. 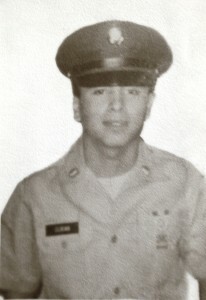 In 1972 he joined the Texas National Guard and went on to serve 17 years. Erevia also found employment with the U.S. Postal Service; after 32 years of public service there, he retired in 2002. Erevia has four grown children and lives in San Antonio with his wife. These days he enjoys refurbishing his home and walking to stay fit. In addition to the Medal of Honor, Erevia received the Distinguished Service Cross (this award will be upgraded to the Medal of Honor on Mar. 18), Bronze Star Medal, Purple Heart, Air Medal, Army Commendation Medal, National Defense Service Medal, Vietnam Service Medal with five Bronze Service Stars, Combat Infantryman Badge, Sharpshooter Marksmanship Badge with Auto Rifle Bar, Marksman Marksmanship Badge with Rifle Bar, Republic of Vietnam Campaign Medal with “60” Device, Republic of Vietnam Gallantry Cross with Gold Star Device and Republic of Vietnam Civil Actions Honor Medal, First Class. Spc. 4 Santiago Jesse Erevia, United States Army, distinguished himself by conspicuous gallantry and intrepidity at the risk of his life and beyond the call of duty while serving as a radio telephone operator in Company C, 1st Battalion (Airmobile), 501st Infantry, 101st Airborne Division (Airmobile). Specialist Erevia’s company was engaged in a search and clear operation near the city of Tam Ky in Quang Tin Province, 1st Tactical Corps of the Republic of Vietnam. The mission of Company C on May 21, 1969, was to sweep south through the valley and foothills from BT175117 toward Company B, thus forcing any hostile forces toward the perimeter set up by Company B. At approximately 10:30 a.m., Company C became aware of the enemy contact to its immediate front. Deploying into a circular perimeter, Company C came under harassing sniper fire from a tree line across the rice paddy to its front. It was soon learned that elements of Company B were engaged in contact with North Vietnamese Army regulars on the adjacent hillside. Company E (Reconnaissance Platoon) and Company D soon arrived to aid Company B in the assault. Throughout the day there was light skirmishing between Company C and elements of the enemy force across the open rice paddy to the front. At approximately 4 p.m., the order was given for Company C to attack the hill from the north. Leaving one platoon behind to secure the company perimeter, two platoons of Company C and the company command element, after aligning themselves along a wood line to the front, stepped into the open and began to assault the enemy positions on the hillside across the open rice paddy to the front. Issuing forth an intense amount of fire, Company C pushed across hundred of meters of open rice paddy to the cover of the hillside and the enemy positions, while only sustaining two casualties. Arriving at the hillside, the platoon leaders immediately began to maneuver their platoons against the insurgent positions employing fire and movement techniques. Heavy contact with the enemy was made immediately and Company C suffered numerous casualties as a result of the intensity of the battle. Erevia, second platoon sergeant’s radio operator, had joined his old squad after his Platoon Sergeant had left the battle with head and back wounds. He was designated by his Platoon Leader to give aid to four of his wounded comrades while the rest of the platoon pushed forward against the insurgent. While administering first aid, Erevia and the four wounded personnel came under intense automatic weapons and small arms fire from for enemy bunkers strategically located approximately 50 meters to the left flank. Although Erevia could have taken cover with the rest of the group, he realized that action must be taken immediately if they were able to be relieved from the precarious situation they were now in. With bullets striking all around him, he proceeded to crawl from wounded to wounded gathering up weapons and ammunition. Armed with two M-16 rifles and several hand grenades, Erevia, issuing forth a heavy volume of fire, moved in on the line of enemy bunkers. Under a hail of enemy fire, he continued to advance until he reached a location a few feet short of the first insurgent position. Disregarding the fire directed at him from the remaining bunkers, he pulled the pin on a hand grenade and advanced on the bunker, firing his rifles until he dropped the grenade into the bunker, thus destroying the fortification and killing the enemy soldier within. By this time, he was the primary target of the enemy gunners. Without hesitation, he proceeded to maneuver his way through the intense enemy fire toward the second bunker. He again leveled a heavy volume of fire at the well-camouflaged position as he advanced. With enemy rounds impacting all around him, he completely silenced the second bunker by accurately throwing a hand grenade at the position. After reloading his rifles, he advanced toward the third bunker behind the suppressive fire emitted from his weapons. He also successfully eliminated this position, despite the intense enemy fire directed at him, by the effective employment of hand grenades. After silencing the third bunker, Erevia had depleted his supply of hand grenades. Therefore, employing both M-16 rifles, he charged forward placing intense suppressive fire on the fourth enemy position. Arriving at the very edge of the bunker, he shot the North Vietnamese Army soldier positioned within in the head at point blank range. Having silenced the four enemy positions threatening the lives of the four wounded, the company commander, and his fellow comrades in the company command element, which was also close by, Erevia returned to aid in treating and evacuating the dead and wounded from his company. In the meantime, elements of Company C had overrun the insurgents in numerous places and due to the intensity of the struggle, they had sustained several casualties. Shortly afterwards, Company C, with darkness approaching rapidly, withdrew from the hillsides to the safety of the night defensive perimeter set up by Company B, Company D, and Company E to evacuate their dead and wounded and take resupply. Erevia is set to receive the Medal of Honor posthumously in a ceremony at the White House on March 18.